So of course this was done at the last minute for the monthly challenge at From the Heart Stamps…not planned. I was actually not going to worry about it and just buy next months image but I saw a sketch on a challenge at scrapbook.com and thought it would work perfect and could be done quickly. Well, nothing goes quickly or smoothly when you are tired and have an hour before a challenge ends! I do like the finished product though and plan on making it in several different colors and patterned paper. I’m going through my scraps and if it would look cute paper pieced I’m making it. Need to use up supplies this year!! Christmas Card Challenges #13 – inspirational photo – I went with all purple and white. Stamp of the Month @ From the Heart Stamps – use the image provided to get next months image free! I used Sugar Sketch Challenge #41 as my inspiration. 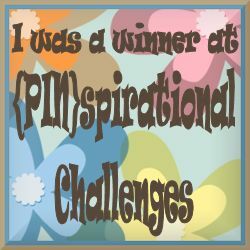 1) March Inspirational Card Challenge – product category – paper (or stamp) with words on it. 2) Sugar Pea Designs – Sugar Sketch #41 – make a project based off the sketch. 3) Christmas Card Challenge #13 – use the photo as your inspiration. I went with the tree and the sparkle. 4) Crimbo Crackers Challenge #101 – Die Cuts. The tree is a Sizzix die and the snowflakes were cut from a cricut cartridge. I’m so excited about this card. I saw the challenge at Scrapbook Blessings Club to make a Valentine/Love card using Christmas Stash and didn’t think much of it since I had all my Valentine cards done. Well while I was working on a Christmas card using old stash I saw the perfect stickers that looked nothing like Christmas but were all about Love! I had also been wanting to do sketch #3 at the Cardmakers Card Challenge @ Scrapbook.com but the inspiration hadn’t come to me till now. So not only did I use old old old supplies I was challenged and came up with a cute card. Love when that happens!! Haven’t been able to just play like that for a long time. 1) Scrapbook Blessings Club February Challenge – Christmas Card Valentine – Make a Valentines, Love, Heart, Red/ White Color Combo card or project BUT YOU MUST USE CHRISTMAS SUPPLIES/ITEMS from your stash. This can be a paper, die cuts, stamps of a couple bundled in coats, two polar bears, etc. 2) Cardmakers Card Challenge Sketch #3 – use the sketch provided on 01/25/16 as your inspiration. Unknown original sketch. 3) Feb Inspirational Card Challenge – Favorites Category. This sketch was from week #3 that was posted on Jan 25, 2016. I saved it since I didn’t get to it in time. 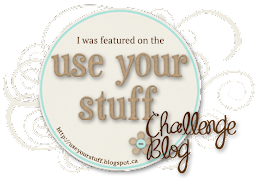 5) Tuesday Throwdown Challenge #281 – Layer it up! I’m trying to make a couple Christmas cards each month so I got out one of my super OLD Christmas paper packs to see if anything would work. I was hoping to use one of the sketches I wanted to play along with. Well this round sticker popped out at me and then there was a matching sticker border too. I thought it would work for the original Pagemaps sketch that is our inspiration this week at Cardmakers Card Challenge. So the card came together pretty easily. The green tag was a new Tim Holtz tag set I got for Christmas and it leaves an impressed spot where writing goes. Since I wasn’t going to write on the tag I cut out a piece I had embossed and glued it on. 1) Cardmakers Card Challenge – Feb 7th sketch. 3) Holly Jolly Christmas Challenge #65 – Emboss it. I embossed on the tag. 5) Christmas Card Challenge #11 – Color challenge. Or you can make any card as long as it is a Christmas card. I did not do the optional color challenge. You fill my heart with love! Oops! I started this post and never published it till now!! Trying to use up supplies on hand so when I saw this sketch I was sure I had valentine paper that would work…and I did. I actually had scrap pieces that had all these different hearts on it so I cut the hearts out. After I made the card there a little black mark that was bugging me so I added the black dots. I made two of these and I decided to use stickles on the 2nd one instead of punched dots. Both look good except my husband thought this one looked like watermelon!